Is your Higher Education Institution prepared for future challenges? Is your Higher Education Institution promoting the development of an entrepreneurial culture? Being an entrepreneurial higher education institution depends upon individuals, and innovative ways of doing things. HEInnovate is a self-assessment tool for Higher Education Institutions who wish to explore their innovative potential. It guides you through a process of identification, prioritisation and action planning in eight key areas. HEInnovate also diagnoses areas of strengths and weaknesses, opens up discussion and debate on the entrepreneurial / innovative nature of your institution and it allows you to compare and contrast evolution over time. You can have instant access to your results, learning materials and a pool of experts. Is your institution entrepreneurial in its leadership? This section of HEInnovate explores those factors which relate to the leadership and governance of a Higher Education Institution. In order to develop an entrepreneurial culture in an institution, strong leadership and good governance are crucial. Many Higher Education Institutions include the words "enterprise" and "entrepreneurship" in their mission statements but this needs to be more than a reference. This section highlights some of the important factors a Higher Education Institution may consider in order to strengthen their entrepreneurial agenda. Does your institution recognise and reward entrepreneurial behaviour? Higher Education Institutions can be constrained by their own organisational structures and approaches, making it more difficult to carry out the types of entrepreneurial activities which support their strategic objectives. This section highlights some of the key areas a Higher Education Institution may look at if it wishes to minimise the organisational constraints to fulfilling its entrepreneurial agenda. This includes the financial strategy, attracting and retaining the right people and incentivising entrepreneurial behaviour in individuals. Can your institution improve its approach to stimulating an entrepreneurial mind-set? Higher Education Institutions are expanding their entrepreneurship and entrepreneurial education offer to the organisation as a whole, including all staff and students. This section of the framework highlights a number of areas in which entrepreneurial development can take place, reflecting the need for the organisational structure to support entrepreneurial development as well as provide the right tools to deliver education and training opportunities both internally and via the external environment. Is supporting entrepreneurs and start-ups a priority for your institution? The decision to commit to entrepreneurship is not a single act but a process. For Higher Education Institutions to be entrepreneurial they need to support the pathways taken by would-be entrepreneurs (staff and students) from ideas to market growth or into employment. This is not just a process internal to the institution but one where a pluralistic approach in necessary providing access to internal and external opportunities and expertise. This section of the framework gives statements for HEI's who wish to support "intrapreneurs" in their career development or enterprising individuals on their pathway to becoming an entrepreneur. Are your staff and students ready to harness the opportunities offered by digital transformation? Digital transformation and capabilities are enablers of entrepreneurialism and innovation, and affect all areas of a modern Higher Education Institution. They influence organisational capacities, teaching and learning, the assessment of knowledge, the international activities of an institution as well as its knowledge exchange with partners. This section of HEInnovate looks at key areas that a Higher Education Institution may wish to consider to maximise its ability to make the most of the opportunities offered by digital technologies. The topics for assessment include the fostering of a positive digital organisational culture and a clear vision for digital learning, the establishment and maintenance of a fit-for-purpose and up-to-date digital infrastructure, and the development of high level digital competences among staff and students. 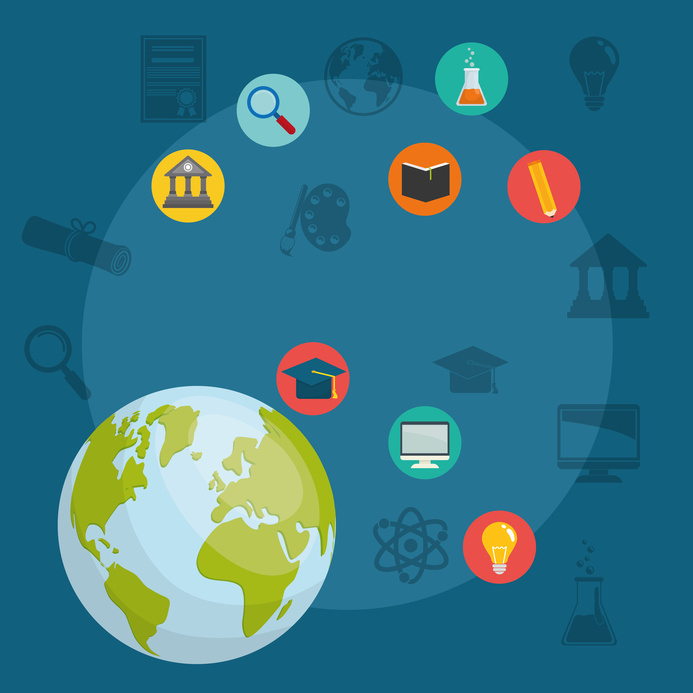 Does your institution enable knowledge exchange and collaboration opportunities? Active involvement of a range of stakeholders has been shown to be a contributing factor in successful Entrepreneurial Higher Education Institutions. Building and sustaining relationships with key partners and collaborators is essential in achieving the full potential of a Higher Education Institution, in entrepreneurship, in research, teaching and in other third mission activities. There are several components to the external environment including relationships with the public sector, regions, businesses, alumni, professional bodies etc. The motivation for this commitment is to create value for the Higher Education Institution and society. Are there barriers to internationalising your institution? An international perspective at all levels has been identified as one of the characteristics of an Entrepreneurial Higher Education Institution. As internationalisation is increasingly integrated into strategic processes, it becomes essential for HEI's to be able to make informed decisions on institutional direction, as well as assess and enhance performance according to different objectives over a wide range of international activities. It is not possible for a Higher Education Institution to be entrepreneurial without being international but the HEI can be international without being entrepreneurial. This section of the self assessment provides a number of statements which reflect the influence of the international environment on the entrepreneurial aspects of teaching, research, talent development, new opportunities and culture. Does your institution measure the impact of its entrepreneurial activities? Underlying the drive to create a more entrepreneurial Higher Education Institution is the need to understand the impact of the changes which are made. There are many different types of impact a Higher Education Institution may seek ranging from the local to the global. The impacts affect internal stakeholders (students/graduates, staff) and also external stakeholders (local businesses, organisations and whole communities). Impact measurement in HEIs is underdeveloped. The majority of the measurements found in the literature relate to spin-offs, IP and research outcomes rather than graduate entrepreneurship, retaining talent, local economic development or the impacts of the broader entrepreneurial strategy. Therefore this section identifies the areas where a Higher Education Institution might want to measure rather than what to measure.